Today on the blog I want to talk about a big event happening this weekend. On Sunday and Monday in the RDS The professional Beauty Show 2017 is happening. This is the second of the beauty shows to take place in 2017 and your chance to bag some serious bargains. 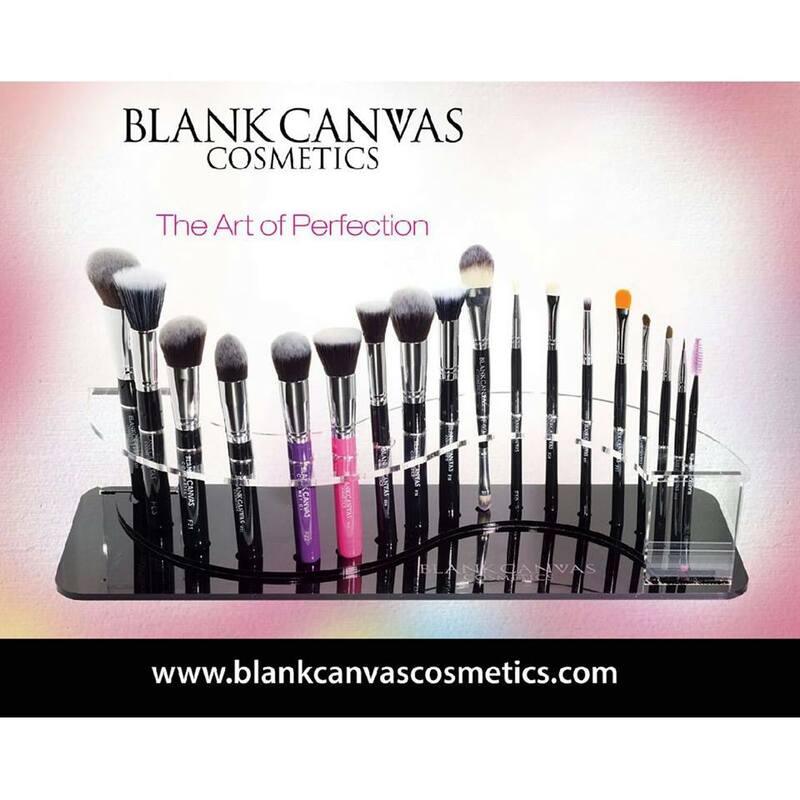 I will be at the show again this weekend working on the Blank Canvas Cosmetics stand. This is one of the many busy stands to be at over the weekend, hours feel like minutes because it is literally non stop with beauty lovers picking up some new brushes, bagging double and treble of their favourites brushes and of course Blank Canvas Cosmetics have their amazing palette for sale on the weekend the Pippa palette & the Master Series palette one. Personally, my most wanted purchase on Sunday from BCC will be their Brush & Sponge Solid Soap. I bought two pots at the Irish Beauty Show in March, its all gone and I have to get more, it makes cleaning your makeup brushes so much easier! I'm gonna come back to my wishlist later on in the post because the most important thing about attending the Pro Beauty show, if you are a first timer or a repeater is to plan the day well and use your time properly! Go Early- If you're anything like me you're already really excited so just make the effort to get up and get in. I've been so lucky that in the last four shows I've managed to get Free on street parking just outside the venue so that saves me €6 straight away. Do your research- It is a massive venue with tonnes of stalls all selling amazing products. Have a look online at the floorplan and exhibitor list before you go. It's easier once you know what your looking for and where it lives. It also helps to see things like where you can stop to get a cup of tea or is there an atm present, where are the bathroom all of the things you will want to know but in a crowd of people may not be able to see. Shopping List- As I said in the previous tip, you will see so much you want to buy on the day. If you have been saving or have limited funds on the day, make that list. Start with making sure you can get what you really really want. Too often I will get distracted by a new product or fab offer, before I know it there's another €40 spent and once I didn't buy makeup I had on my wishlist for months because I had bought so much other stuff. you could literally spend thousands on the day, no joke. You can be sucked into buying bulk or buying 6 different brands of tan because they all 'look amazing' on the day. Of course if you are there to treat yourself just get your listed stuff out of the way and enjoy discovering all the new lovely things. Dont be a sucker- This might be a bit on the controversial side but this is my post so I want to be totally honest, some of the stuff at the beauty show is tat! Let's face it, out of 200 old stalls you're not going to like everything, some stands are great at just letting the customer approach, have a look and ask questions if they need them. Some stands are so busy you're just handing over money and you might not know exactly what you're buying. Just because a stand looks busy doesn't mean you HAVE to buy from it. 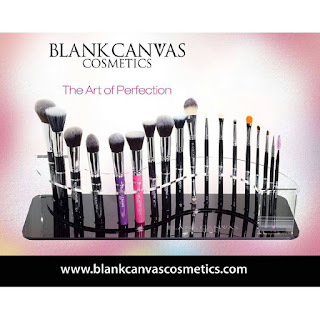 I really enjoy working on the blank canvas cosmetics stand because 100% any customer who wants to ask a question about the brushes, about any of the products is given the time to be talked through what they are. People are not expected to buy blind at that stand at all. All the staff know the products and if they can't help you, they get someone who can. We also have demo boxes for the palettes so people can swatch the colours, we have display brushes on each section so people can touch them, see the width all of the good stuff. We have price lists up to beat the band but have no problem when a customer wants to check a price or ask that this brush is used for or can that brush do this job, everyone is happy to help. You work hard for your money so if you want to be sure of what you're spending it on so do ask questions of people on the stands. What to Wear- Another lesson I learned from my first show, I was way too hot! The inside of the venue is super hot when its filled with thousands of people, lights you name it! Now if I am attending as a customer, I wear comfy shoes (runners usually- not my converse)Light jeans and leave my ankles free so there's some air at my legs and then just a tshirt. If I bring a top it's really light and wrapped around my waist once I'm in. I cannot stand the heat when the crowds come in so that really works for me. I also wear a two strapped handbag small as I can to fit in phone keys purse water and deodorant. Food & Drink- If you need to stop, stop! Usually for me, my feet would be getting tired and arms weighed down but it's a really quick sugar fix and we're back at the shopping. there is a cafe and some stands inside the venue as ell as vending machines so you have plenty of access to stuff. You may not get a seat so be prepared for that hence the comfy shoes. Enjoy It- After all that mental advice the best thing I can say is to enjoy your time there! As a blogger, I get to see so many people I meet through the blogging world usually at events, i get to work with my favourite brush brand and help spread the love for Blank Canvas Cosmetics and then on my break i get to run around like a mad yolk and pick up more beauty treats for my makeup collection! There's always offers to be had, there's always a super buzz about the place and you'll always want to buy more!! Have a great time to anyone who's going and for those not already registered... get on it! !